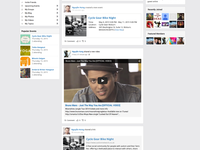 mooSocial is a "white labeled" Mobile-Friendly Social Network software. 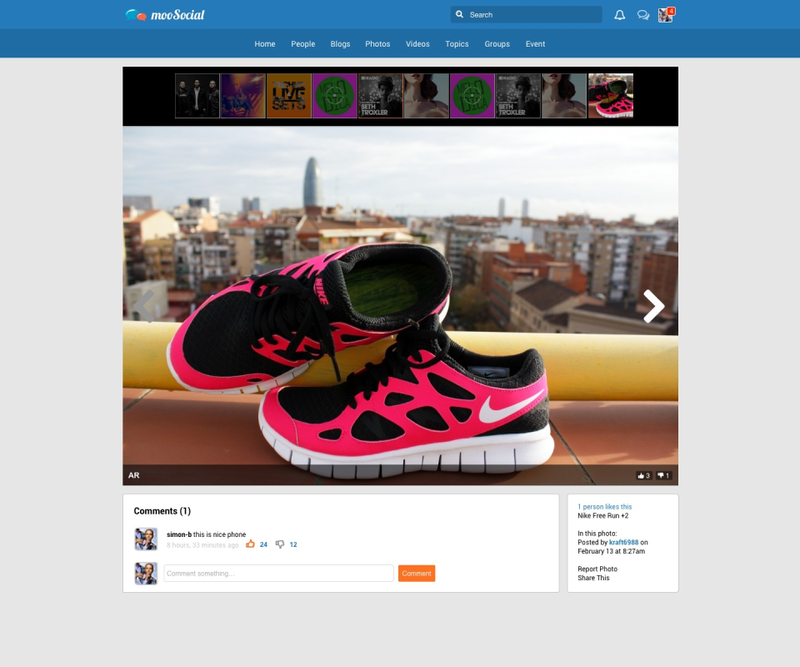 Start your social network right out of the box with mooSocial and customize it anyway you'd like. It is aesthetically built with end user experience in mind. 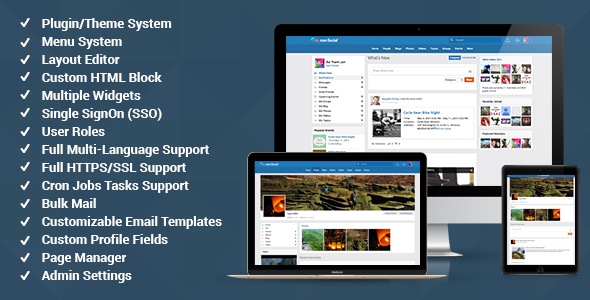 mooSocial is highly configurable and expandable along with the ability to add additional themes and plugins. It is easy to use even for site owners without programing skills. Great social network script and best support yo can have !! For $ you have a nice and light script with no "Powered by" branding and with Video Sharing, User Group, User Blog, Discussion Topics, Photo Album and much much more included. Add to this a community of friendly and reactive customers, where the team spends every day to listen and help to these customers. Moosocial is also the lightest of scripts, it works very well in it's basic version at most shared hosting. Finally what else to say about it... mooSocial? Trying it is adopting it ! 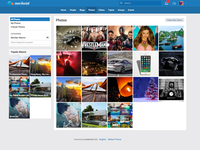 Pros: Has almost all the features you can find on facebook.com and has the same look and feel. Cons: Chat server installation and integration is difficult, and often unstable. You'll get nickle-and-dimed for various plugins, and also licenses and service fees, especially if you purchase the mobile apps. Support is awful. English is barely understood and since support hours are overseas, simple threads that go back and forth a few times take several days. Overall: It's a great platform and fits perfectly for my community's needs, but I cringe when it's time to do an update, because I know I'll have to struggle with support and end up paying $$ to get the upgraded website working properly with the apps, etc. 2. you need to buy modules / themes separately but i think its okay as the team is putting a lot of efforts on this software. Overall: Im using this and currently building a very best social network which is necessary for my needs. Pros: What i like most about Moosocial is the Value for money, because is a great softawre and you only pay one time for it. Cons: They have few tutorials in the internet to explain how to do things in software. They should do videos on youtube on how to customize the social network. Pros: The software is very stable and reliable. The support is always friendly and responsive. The software is also very high in quality. The plugins are cheap and easy to install. If there are problems, support is always there to help. The Android app I'm using has been upgraded. This went on within 48 hours. The upgrade has become great. Pros: I like it's easy to use not only for Admin but for all users. Cons: There is nothing we can say about this. We like everything from this software. Great job. Overall: Great control over roles helps us a lot with our business. Cons: Really there is not much i can pick on, but if i had to pick one thing i like least will be the time between software updates. Although i think this is because of the high quality of work and testing. Overall: ease of use and stress free operation of my network. Pros: I am a current user exploring a social networking company. Being a novice I needed a lot of assistance and I must say that customer service is OUTSTANDING! 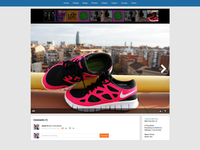 They really know there products and were insightful in helping to choose the right look for the social network. It is priced reasonably too! Cons: Every plug-in costs money, but that is too be expected. Also there are some limitations as to the customization of the social networking site. My experience with MooSocial has been excellent. They helped migrate my users & upload all plugins. Pros: There are many things I love about the MooSocial platform. Though, in particular, all of the plugins really separate MooSocial from the competition. Plus, I am looking forward to the new app layout. Cons: Cons would definitely be office hours. I have spent many nights speaking with tech support til 3 in the morning. Though, I completely understand. Considering I am located in the U.S. So, it's expected with the time zone difference. My experience with mooSocial and their support team has been excellent! Pros: Easy to use, easy to set up in most cases. Support is always available when help is needed and they're the best support I've had with any of the site softwares I have purchased over the years. Overall: A dependable site that is easy for me and all of my users. Pros: Its very modern and well coded with high security. Cons: It is user-friendly. And support team are professionals and fix issues within the shortest time possible. Really flexible. Great support, Great value. Pros: Basically it does what it says on the box, but where the real strength is in the fact that we have progressively shaped the solution to our specific needs with a series of bespoke modifications. What has emerged is something that I hope will become a robust commercial platform. The support team have been amazing. Cons: There seems to be no down sides. All of the functionality you would expect is there, and it is being improved over time. Overall: MooSocial has allowed me to build a professional social network product, highly tailored to my needs and the needs of my clients, without breaking the bank. Looking forward to taking it forward. Cons: Quite young software, but certainly with potential! Comments: I have tried dozens of different Social Networking software sites searching for what I need. All have fallen short in some way, buying Social Networking software is usually based on a compromise, with what it can do and what you would like it to do. 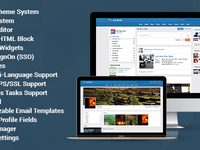 Complex fully functional software that is simple to use both for you as admin and your membership who need it very simple, Good Hosting and Good Support. 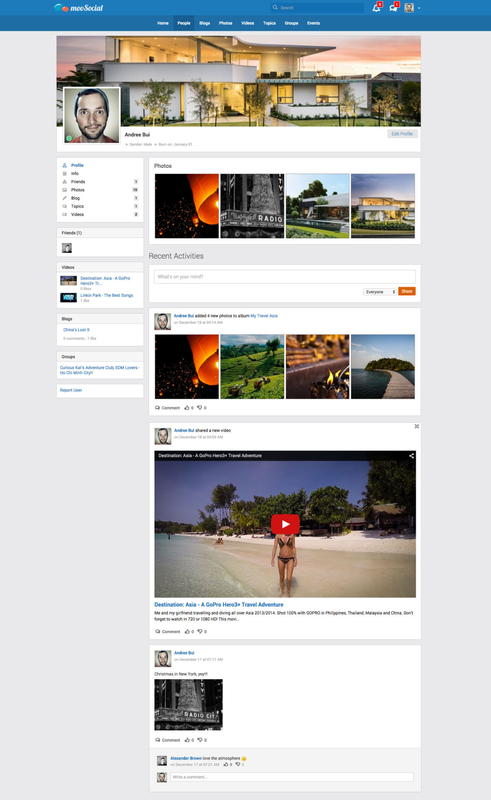 Moosocial puts all of this together brilliantly, it is both aesthetically pleasing to the eye, simple to use for the user, simple to administrate as admin, with excellent support. It integrates easily with Pay Pal and also Comet Chat, Moosocials recommended Hosting partner Hostiso support is excellent too. 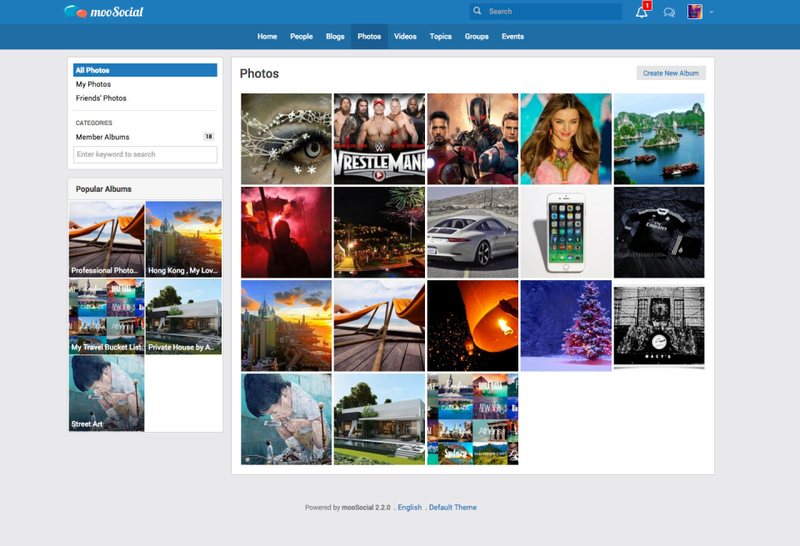 I am so pleased that after close to 5 years of struggling with some of the big name Social Network software out there that i have now found Moosocial. I am extremely pleased. Well done Moo. Pros: I was impressed with the features of the software, the ease of plugin installation, and the professionalism of the support staff. Cons: There was nothing about this software that i did not like. Overall: mooSocial solved my problem of finding a stable, user friendly, moderns social media script. I was so pleased with the first site that we built, we are in the process of creating a second one now! if you are on the fence about mooSocial, trust me, do not hesitate. You will not be disappointed. Pros: Clear and clean structure, readable and maintainable codebase. Decently rich in built-in features, nice choice of plugins with more than reasonable pricing. Cons: CakePHP being stuck in 2.x dev line - hope to see upgrade to 3.x, at least it's planned. Relies much on file configs, may be a bit of pain in clustered environment. Pros: Moosocial is the best social network I have used so far, very simple, flexible and reliable. The have the best support team. And I can easily recommend it to anyone, anywhere and at anytime. I know they will never disappoint. Cons: I have not seen any thing i hate about the product, it great and awesome. I have had the best experience with the script, the add-ons and the help they have given me. Pros: It has allowed me to build the exact site I wanted and it is really starting to grow. I liked it so much I bought a second script for another project. It is so easy to use and just makes so much sense on how to put something together to suit your needs. Overall: It allowed me to launch the exact website I envisioned. Comments: Hi all, I just want to say the guys @ mooSocial go out of their way to help out where they can. Nine times out of ten they can. I have notice with many other script companies don't have the customer support service we all need. Have needed them to write a few extra pieces of code from time to time and they are always happy to help. Some code I have had to pay fore but it has been a quick turn around and value for money. If you have not decided yet if to buy from these guys @ mooSocial; then take a look around the community forum and ask a few questions. It won't be long before you having a good chat about how good the script really is. Pros: Speed!!!!! Blows SocialEngine and PhpFox out the water! Overall: I love the script. The support is also fantastic - Very polite and knowledgeable gentlemen. Overall: I had a few glitches, but Moosocial worked with me constantly until everything was just the way I needed! Kent at Moosocial is awesome and Ryan is very accommodating. Would recommend to others highly! Comments: Exceptional script which allows many customizations from non technical users, their expertise in this field is amazing. Personally I have been dealing with Ryan, and his technical skills and work rate is amazing. Unbelievable the very good and fast support I get from the whole Moosocial team! 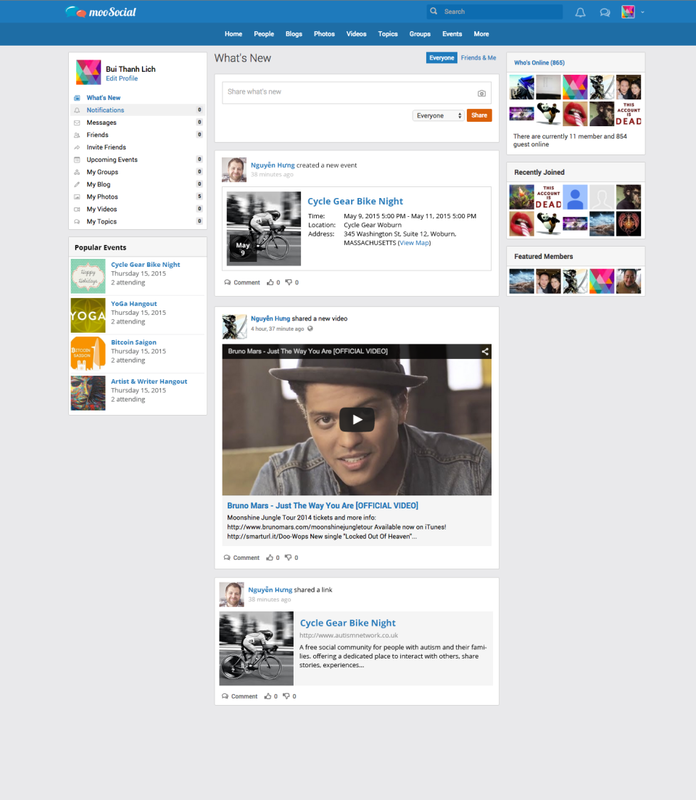 It was definitively the best decision to go with MooSocial. Thanks to all the MooSocial team. Comments: Moosocial Best Platform with all the tools you need for a social network, and marketing website, a lot of potential for the price, is nicely succeeding on the tools they are providing. It has a wiki, an instant messages, document management system - all (and a lot more) integrated in one extensible platform. Very recommended! Attractive interface and full of functionalities. Also excellent support from their community. Pros: This system is awesome, easy to install, get all the source code, a great team that improves new features, if you need to create a new option they are open and the prices are great, good add-ons to grow your system as you need. Thank you for using products and services from mooSocial! Comments: We have been working with this script for little over a month now and it looks really professional. It is great value for money. This is a work in progress with a developer team working on improvements and updates. The plugins and the different themes available make the script really versatile. Comments: The program is really good! I am glad that the developers have not fallen asleep with updates. Make a multilingual, which is very, very important for me. The functionality of the software and the reasonableness of some of the features in detail. Very satisfied with the support! Hands down the best social network software period! Comments: I give it 10 stars if I could. Ryan and his team provide excellent customer support and best of all, the best social network software on the market. Your time and money will not be waste if you go with this company. Other softwares are full of bugs but this one is a winner! Comments: It works and looks good. Very stable. Lots of paid for add-ons. (Too many?) Backup - Video upload - Scroll-to -top should be included. 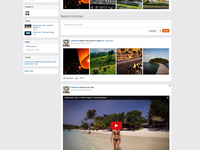 Comments: Thanks to mooSocial I manage a great language exchange community with many features! Recently mooSocial realized Android App so my community users now enjoy the App too! No the last, I have to thank to mooSocial for the great professional support! Fantastic product and customer support! Comments: The folks at mooSocial have been fantastic. They assisted me in getting the product installed on my server and have been so helpful. The product itself is top notch, I did not come across any other product that is so perfect for social media. Pros: MooSocial was fun and easy to use, it was easy to teach my coworkers how to use and they have enjoyed it. Cons: I did not like the reachability of the customer service team. I would have liked more support on that end. Comments: We found this Software so grandiose that we love to use it for our Business. MooSocial Team is Great and they give strong Support to Customer needs! Comments: I had an idea of creating a social network for a long time, but was waiting for the perfect script to fit in. Comments: I think that in future mooSocial is getting better and stronger, I did make a lot of hope in the mooSocial team only the best and provide the user of mooSocial satisfied. Pros: Everything, I thought that the usability of the software was fantastic, along with how lightweight it was. Cons: We need to get more updates done faster and fix a few of the small but noticable bugs, that way it will be much better. So far, very great and exciting! Pros: Speed, simplicity, design, customer support, The apps which are included, and I believe the price is very reasonable for what you're getting. I think the cohesion of the software is also a huge strength and it is the reason why the script is so fast. Comments: You will have to wait until your site becomes as good as Facebook to charge membership than again FB doesn't charge membership fee. They need to build ad management so you can make some money to cover the cost.